We are engaged in offering a wide array of PVC Coated Welded Wire Mesh to our most valued clients. Our range of Welded Wire Mesh is widely appreciated by our clients which are situated all round the nation. We offer our range of Welded Wire Mesh at most affordable prices. Incorporated in the year 2002, Delhi, India,“Seazell Overseas”-where ideas meet the creative hands.We are considered among the noteworthy manufacturer, exporter and supplier of a wide assortment of Handicrafted items. At Seazell Overseas we offer you Home & Decor items in brass, copper and metal handcrafted with precision and creativity. We offer you the best quality at reasonable price. With a wide range of items from Puja Articles to Copper Utensils to Idols& Figurines, we have the best to offer for all occasions like festivals, anniversaries, House warming and birthday parties. 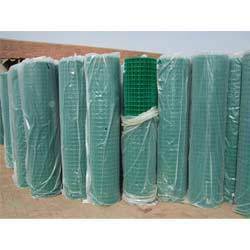 Wholesaler/Retailers can contact us for buying in bulk quantity at competitive price.